If you are searching for a job, it is a good time to make sure your priorities are in check. A successful job search starts with thorough preparation and planning. Make out a complete assessment of your skills, knowledge, abilities, interests, accomplishments, values and personal traits as they have been demonstrated in your day-to day activities at work, school, at home and in the community. Make sure you include all your talents. These are skills and abilities that you can take with you to a new job. There are characteristics that you have in which your new employer will be particularly interested. Remember, the employer is going to be looking for how you can benefit his or her organization. A resume has traditionally meant a brief account of your professional work experience and qualifications. However, in the current job market, your resume must be much more. Any Recruiter may have to browse through hundreds of resumes and generally, he / she does not give more than 20 seconds, to go through a resume. Hence it becomes very important to make your resume in a Professional manner so that it gets noticed immediately by the Recruiter, in order to get you an interview call. 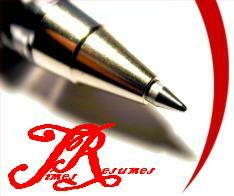 In order to Stand - out, you need to hire the services of resume writing experts to make you shine on paper. Remember that, a great resume can generate interviews! Never submit any resume without a cover letter. The cover letter is a brief introduction to your resume. It is a way for you to convey particular information about yourself that may not be covered in a resume. Many service providers are offering career counseling services, job search advice etc that will help you in your search. Many of these services are free, and the number of resources is growing each year. Networking is a key process in job seeking, job keeping, and position advancement. Networking is nothing more than asking the people you already know to help you find out about the job market and meet the people who are actually doing the hiring. Sixty to Ninety percent of jobs are found informally, mainly through friends, relatives, and direct contacts. Ask relatives and friends about vacancies. They may know about available positions where they work or through other friends. If you tell everyone you know or meet that you are job hunting and that you would appreciate their help, you dramatically increase your chances of success. Employment advertisements may appear in the business or the classified sections of newspapers. Take time to look through your local papers, particularly the Sunday issues, very carefully. Career Web sites on the internet allow you to submit your resume to a resume database where hiring companies search for qualified candidates. Use professional Resume Posting Services to assist in transmitting your resume to the top job sites. Identify 30-50 employers and begin to make direct contact. Determine what positions are available, learn the names of hiring managers, send your resume, and communicate your desire to be a part of their team. No one knows your capabilities, dedication, and discipline better than a former employer or professor who had the opportunity to work with you directly. Since more people find their work through direct referrals than any other way, this is a target audience you do not want to miss. # Concentrate your job hunt on smaller companies. Most new jobs will come from smaller, growing companies, typically with fewer than 500 employees. Although larger employers are more visible, well-known and aggressive in their search for employees, it is with the smaller companies that you may have the best chance of success in finding work. Pay particular attention to those companies that are expanding. They are easier to approach, it is usually easier to contact important decision-makers, and they are less likely to screen you out. Next to face-to-face meetings, the telephone is the most effective method available to find a job. Every call you make is an opportunity to sell yourself to a prospective employer, to pursue a new job opening, or network to other available jobs. Complete at least 15 calls per day. You will be astonished at the results. Always be agreeable, professional, and positive. Prepare a brief outline for each call and rehearse it. Create brief statements that outline how you can help prospective employers accomplish their goals. Always, always, always ask for referrals to other companies or potential job leads. # Be prepared for phone interviews. Would you believe that over 50% of prospective candidates are disqualified after the first phone contact is made with them by an employer? In the fast paced world today, employers do not have time to interview every possible applicant and are using phone calls as a less expensive, less time consuming way to weed out potentially unqualified candidates. The phone interview catches many people off guard. You might receive more than just one phone interview, so be prepared at all times. Have a 60-second summary of your experience, skills, and unique talents ready and do not answer the phone if you are not in a quiet atmosphere and ready to talk. A recruiter is a person who is engaged in actively finding qualified candidates for professional level permanent positions with a client company. Recruiters know about job openings your industry. Recruiters will call you each and every time they wish to present you to an employer in order to gain your permission. Only after they have gained your permission will they submit your name or resume to the identified employer.